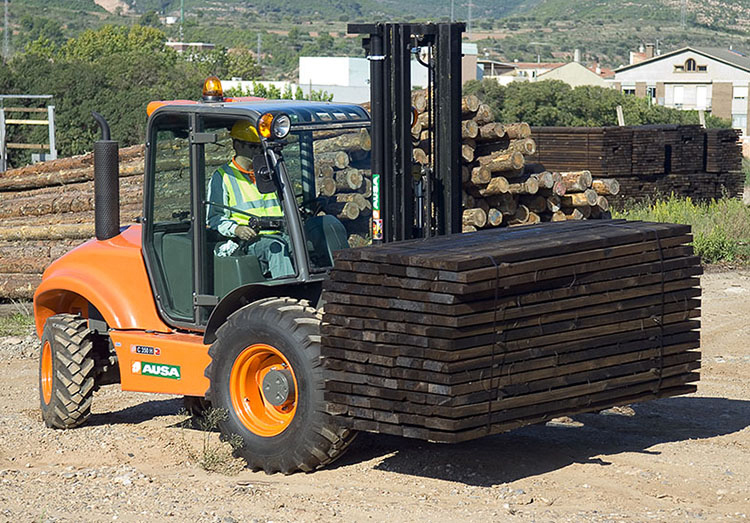 The Ausa range of rough terrain forklifts is un-matched in the forklift industry. 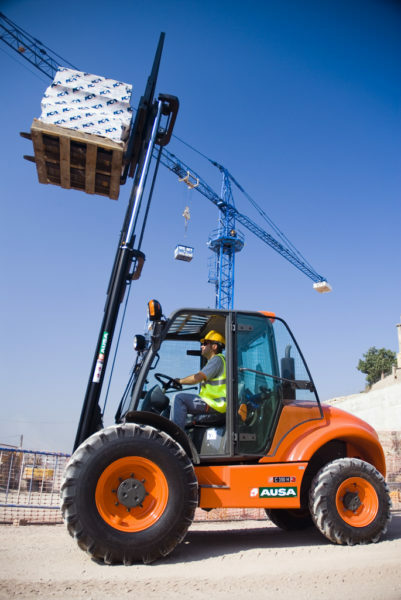 With capacities from 1200 – 5000kg there is an Ausa machine for every application. 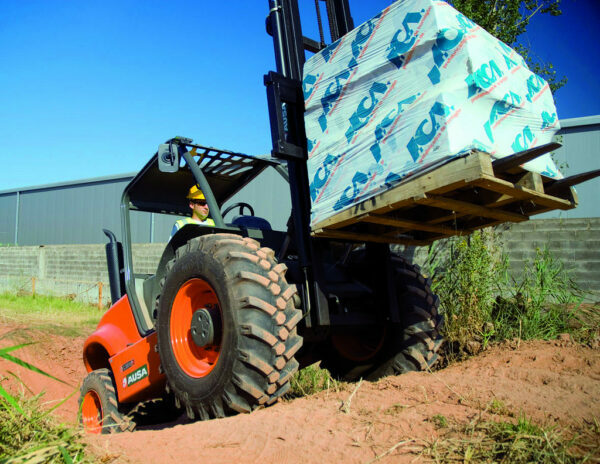 Equipped with either 2 or 4 wheel drive, Bosch Rexroth hydrostatic transmissions and Spicer drive axles, the Ausa range offers outstanding performance and productivity on the most demanding terrain and in the hardest applications. 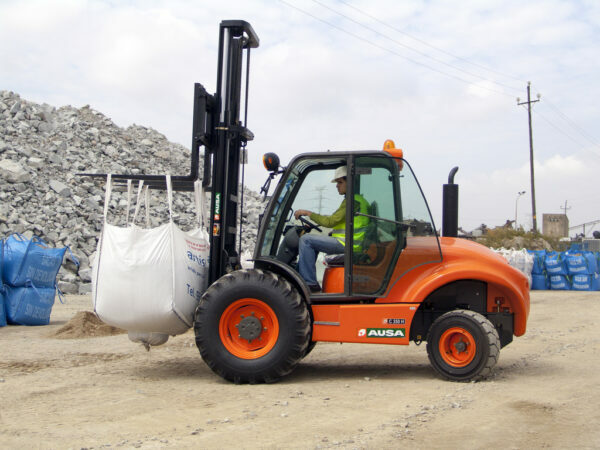 Ausa rough terrain forklifts are fitted with either Kubota or Deutz diesel engines and with fully tilting cabs the trucks are designed for ease of maintenance. 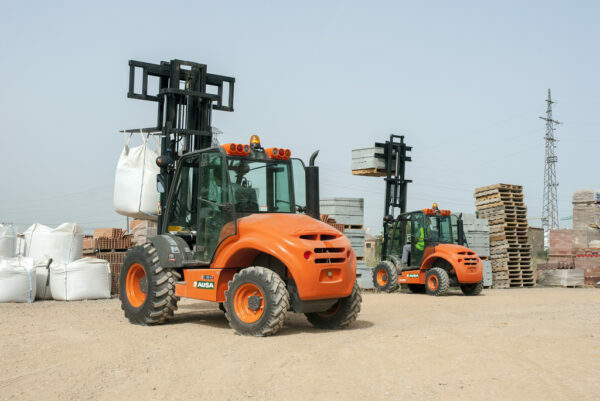 All machines have a number of different mast and cab options and can be fitted with work lights or full road lighting kits. 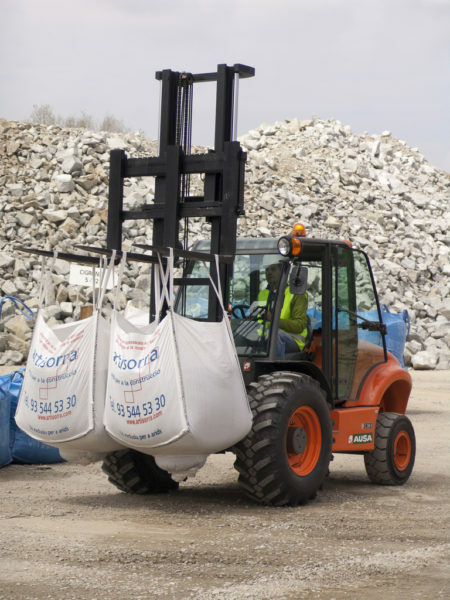 100’s of attachments are available for the Ausa range including forks positioners, bale clamps, bucket scoops etc. 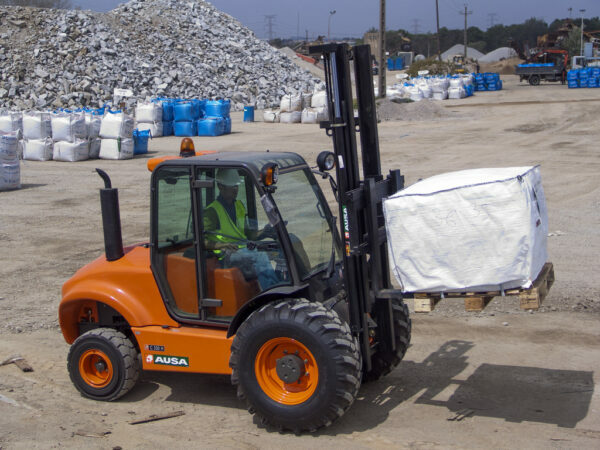 making the easily adapted to any industry. Based on a 60 month minimum term contract with 500 hours per annum maximum usage. 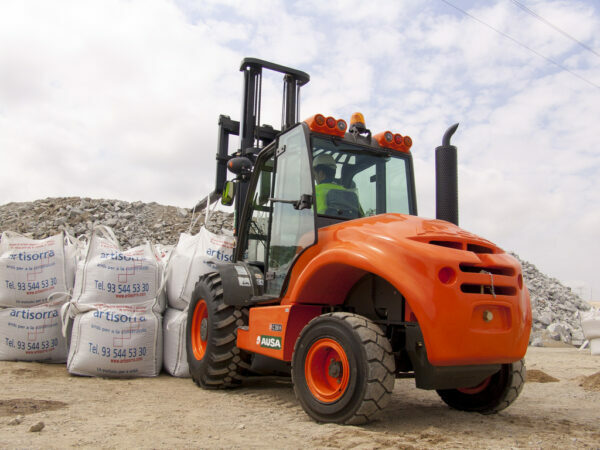 Includes full maintenance including breakdowns, with the following exclusions – tyres, forks, lift chains, bulbs and any misuse, abuse or damage. Annual thorough examinations will be charged in addition at £175.00 + VAT yearly. 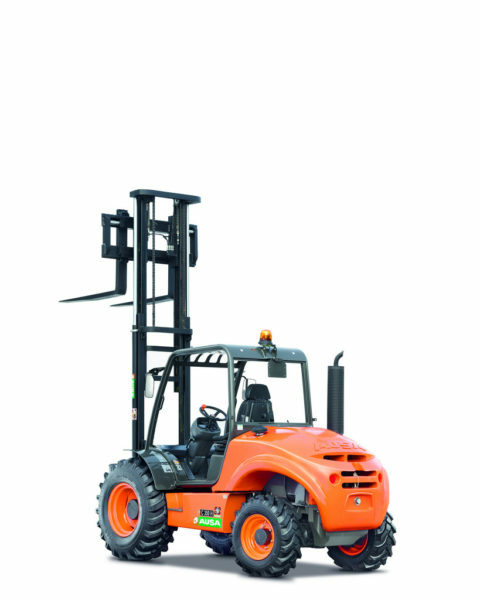 The above pricing is for information only, and does not represent an offer of finance. Finance is subject to status and finance house approval.